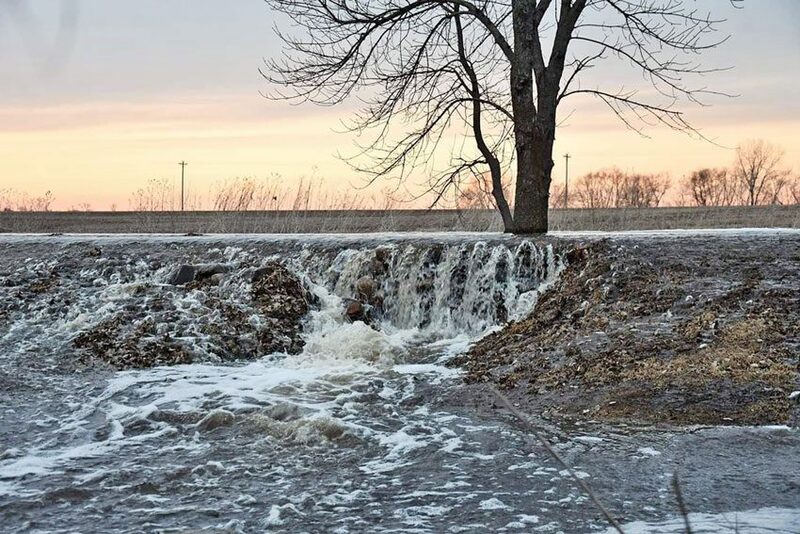 This is not a scenic waterfall, it was someone’s driveway near Powder Ridge (northwest of Kimball) last week. While flooding in our immediate area may be behind us for the season, there are still warnings for nearby rivers. Photo courtesy of Linda Fostervold Eisenreich.